Samoa Joe is one of the top heels in WWE. He has dominated in all the top promotion he has been. Joe made his main roster debut on 30 January 2017 episode of Raw where he ambushed Seth Rollins and locked him in the coquina clutch. 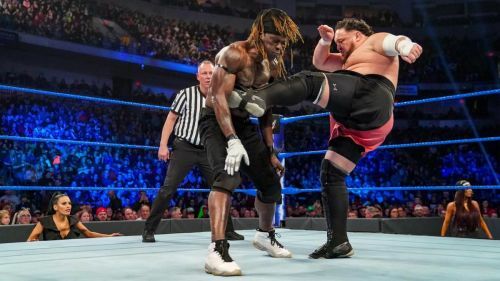 In today's episode of SmackDown, R Truth issued an open challenge for the united states championship in which Samoa Joe defeated Rey Mysterio, Andrade Cien Almas and R Truth to become the new United States Champion. Possible reasons why Samoa won the united states championship. Joe was a big star in NXT, he was a two times NXT champion and one of the best heel of the company. Joe made his NXT main roster debut in 2017 and since then he has achieved nothing also what he got in the title matches was just a loss. Joe is a strong Superstar, but WWE did not book him in the way they should have so now to make him look strong; they made him the United States Champion. Winning the United States Championship also will add legitimacy to him, and this will give him something to do in Wrestlemania 35 rather than the meaningless feud with the other superstars. Fox tv has signed a deal with SmackDown live, and they want smackdown to be the best show. 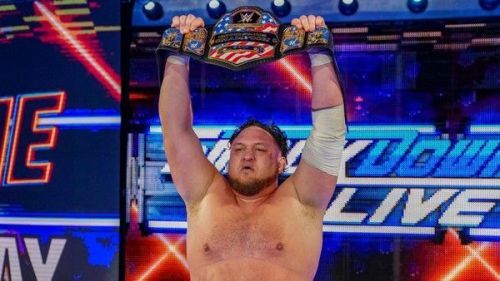 When Rusev was the United States Champion he was a heel, and he increased the prestige of the championship but since previous draft the championship lost all its influence and WWE now wants the title to be more prestigious, so they put the Title to the best heel of SmackDown live that is Samoa Joe. In an interview after winning the championship gold Samoa, Joe mentioned the Hustle, Loyalty, and Respect that is John Cena. So this may happen that WWE is planning Joe's feud with John Cena at the grandest stage of all. If Joe can defeat Cena at Wrestlemania, then this would be the most significant victory of his career, and this would be the perfect way to push Joe in the company. Is Samoa Joe the new Bray Wyatt?